Another issue is spf record. As provider try to secure their network from spam then our job is make sure from our server there is no spam. spf record is one thing we can do from client side. This picture basically told if spf record is not set. 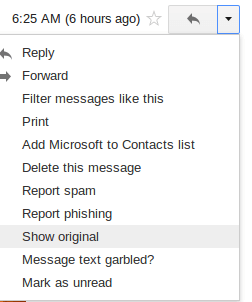 In gmail to get that view you can click “show original” from next arrow icon. To set spf record for this subdomain just login to cpanel and choose “advance dns” and enter the data like this illustration. Name : fill hostname here. 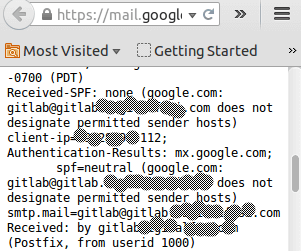 Try to send other email (do something like change email member of gitlab) and check the result. 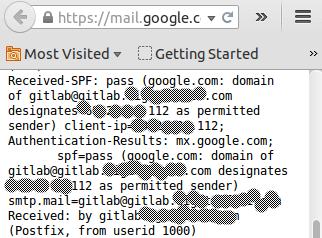 Gmail told that spf record properly and pass their examination.